It is absolutely vital that you invest in your ability to handle a handgun before implementing one for self-defense. 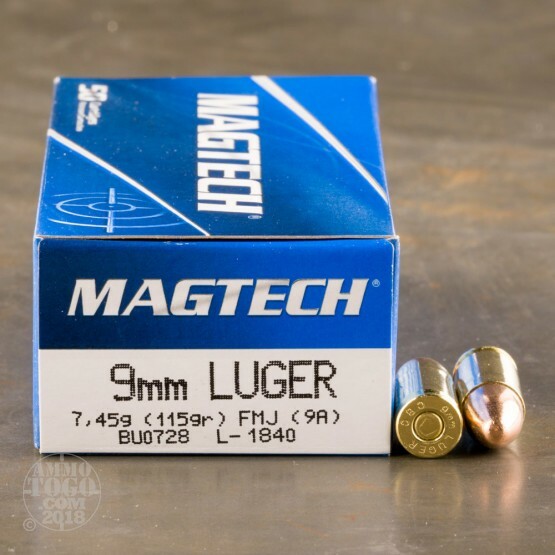 You simply can’t do that without a great abundance of good ammo with which to sharpen for your skills -- that’s why this cost-effective 9mm round by Magtech is so nice. Without needlessly inflating its price, Magtech has given this bullet a hard and concentric jacket that promotes smooth feeding, straight flight, and reliable penetration. This bullet weighs 115 grains, which is on the lighter end of the spectrum for its caliber but by all means a popular weight for self-defense. That means this bullet will provide a realistic feel for what your self-defense load will do. 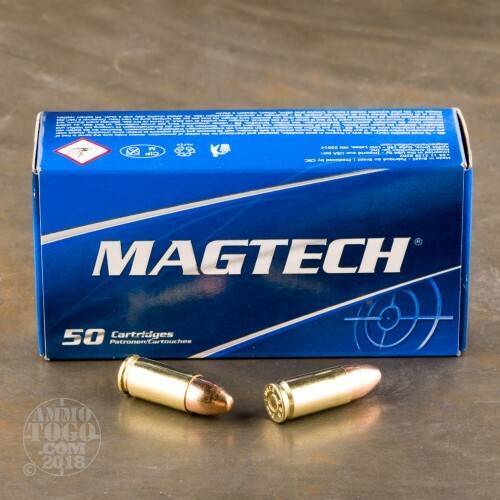 Magtech also has given this cartridge a non-corrosive small pistol primer, reloadable brass casing, and propellant that won’t scatter excessive residues throughout your weapon’s bore and action. 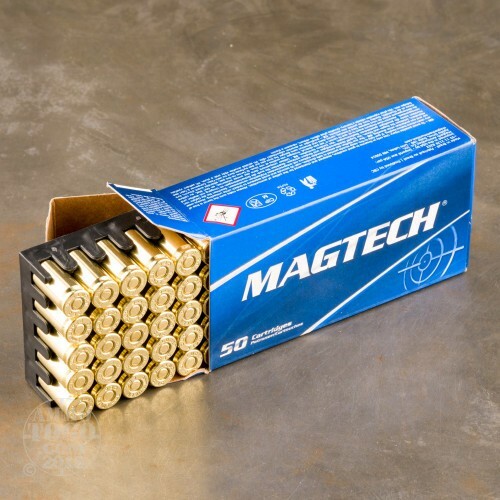 Never have to forego an opportunity to tighten up your performance with these 1,000 rounds by Magtech! My wife and I shoot M&P9 performance guns and have had no problems. Great ammo. Nice and very reliable ammo and very reasonable price I like it!!!!!!!! posted on 1/5/16 by Jan A. Have used MagTech ammo for about 2 years. Clean firing (I have asthma and this ammo has nil for smoke). Easy & fast clean-up after the range. Have a Glock 26, a Glock 17 & a Glock 22, and fired MagTech in 9mm & 40Cal and this ammo never disappoints! I like & trust it so much that I even buy all my hollow point ammo in MagTech too! An acquaintance, who is a retired Marine & Cop who now shoots competitively, recommended MagTech to me. For self-defense you want an ammo that will be reliable & won't give you problems. MagTech will always be my first choice of ammo. Because when you find great performing ammo you can trust at a great price, why keep looking? posted on 9/25/15 by Mike C.
Great range ammo at a very reasonable price. 350 rounds thru my M&P9 without a single problem. Cleanup was very easy. You will like this ammo. 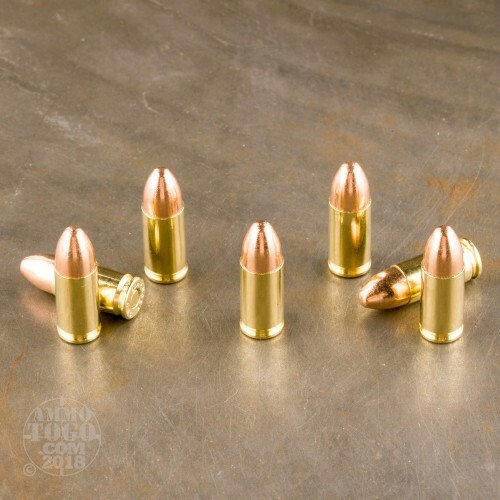 posted on 7/6/15 by Bill R.
Great range ammo for the price.There were no physical prblems with the ammo, "they seemed to be uniformly well made". They were also consistent with accuracy. Nothing bad to say about them. I've only fired this ammo through my Springfield XDM, and don't see any reason to change. I've put 1000 rounds through it without a single failure. I usually shoot 300 rounds and clean after every range session. It's a very clean ammo as well, not too much cleanup. I've bought 2000 rounds, buying my next 1000 right now. Great ammo for the price!!!! !